India is really popular for the diverse number of cultures in the country. It is due to the vast number of cultures that the country has so many festivals and celebrations. There are festivals that are common in all parts of India and some others which are specific to different parts of the country. 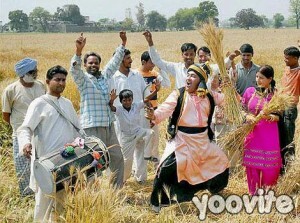 Baisakhi or Vaishakhi is the New Year celebration for the northern states of India. This festival just like all other Indian festivals involves a lot of merry making and fun. In Punjab and other northern states, the festival is usually celebrated on April 13. 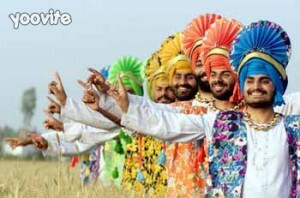 There are so many party ideas for Baisakhi celebrations in India. The family gets together and organizes group prayers for the day. Most special ritual for the day is called the Ardas and this is soon followed by distribution of the special sweet semolina which is popularly known as Kara Prasad. There is another special ritual called Guru Ka Langar also held on the day. A procession led by the Panj Piaras, which covers all the major areas of the city is also a special function for the day. Food is a very important part of all the popular Indian festivals. There are special dishes for the Baisakhi festival also. The Punjabi cuisine for the day includes several popular delicacies like Tandoori Chicken, Saag Meat, Sarsoon ka Saag, Achari Mutton, Makki Ki Roti, Coconut Laddoo, Pindi Chana, Battura, Biriyani, Dry Fruit Kheer, Wheat Flour Laddu, Carrot Halwa and Peele Chawal. There are many parties where the guests are given Chocolate or Sweet hampers as a gratitude for attending the party. All the Indian festivals have dancing and music. The major dances of Punjab are the Bhangra and Gidda Style Folk Dance. The brilliant colors of the dance attire would add even more color to the function. The gifts for Baisakhi celebrations include sweets, chocolates, fruits or dry fruits. There are so many gifts that you can choose for the New year party and you can also personalize each hamper according to its usefulness for each person.